Historian Corey King leads a walking tour of Fort Ontario’s post cemetery Saturdays this fall. The four-part series begins on September 8 and continues September 15, 22 and 29. 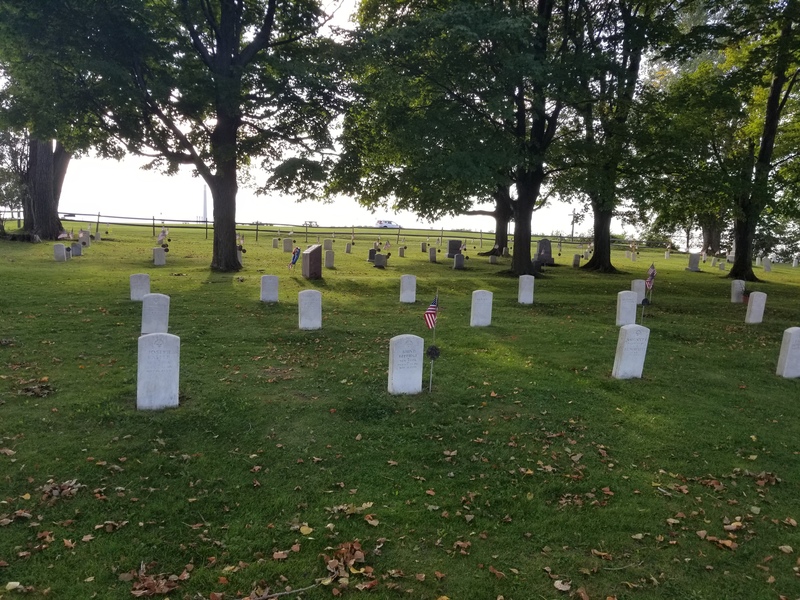 Each unique tour begins at 8 p.m. in the upper lot overlooking Lake Ontario, situated between the fort and the post cemetery at the end of East Fourth Street in Oswego. OSWEGO – Historian Corey King will lead a lantern tour series of the post cemetery at Fort Ontario State Historic Site in Oswego this fall. The four-part series begins at 8 p.m. on Saturdays, September 8, 15, 22, and 29. Admission is $15 and reservations must be in advance. Each tour is unique and describes the lives, deaths, and legends of the 77 men, women, and children interred there. 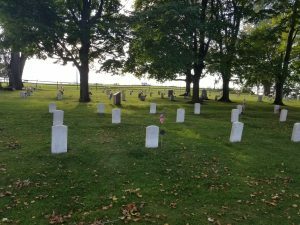 Other highlights include the cemetery’s history, military grave markers, commemorative monuments, and unsuccessful efforts by the U.S. Army to remove the bodies buried at the site. Participants are asked to assemble in the upper parking lot overlooking Lake Ontario and located next to the post cemetery. It is accessible through the main parking lot at the north end of East Fourth Street in Oswego. Go toward the flag poles and follow the road beyond to the upper grounds. Footwear and clothing appropriate for sloped grounds and weather are recommended as well as a flashlight. Proceeds from ticket sales will go to the Friends of Fort Ontario, a not-for-profit group, to be used for interpretation and infrastructure improvements at the post cemetery. Fort Ontario State Historic Site is part of the New York State Parks System which generates $1.9 billion in economic activity annually and supports 20,000 jobs. For more information on any of these recreation areas call 518-474-0456, go to www.nysparks.com, www.fortontario.com, or connect on Facebook, or follow on Twitter.